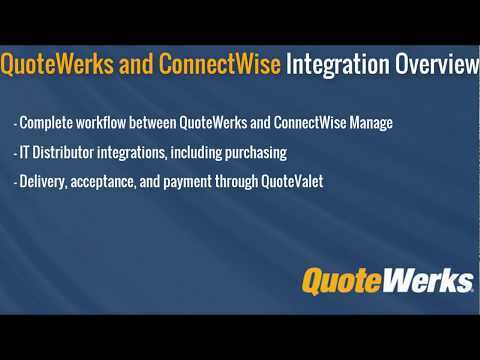 This video demonstrates the QuoteWerks integration with ConnectWise Manage. While speaking with customers at IT Nation 2013, we found that most of our customers wanted help setting up and learning how to better use QuoteWerks. 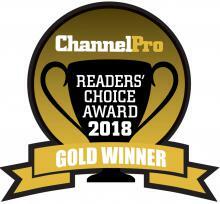 We also found that most of our customers didn't know about the solutions we've released over the last two years. Watch John's video to see what you don't know about QuoteWerks. 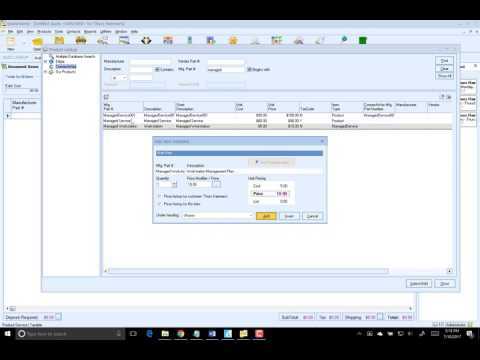 In this video we introduce you to creating Service Tickets within ConnectWise Manage via QuoteWerks. In the Joes Brewing Printer example, a total of 3 tickets are created. The first ticket is created during the quoting process for the Accounting department to negotiate better rates with a distributor. After the quote it won in QuoteWerks, we then create a ticket for service and a ticket for all of the products. Demonstrates the setting up and using Agreements with ConnectWise Manage. The combination of QuoteWerks and ConnectWise® Manage makes it simpler to provide quotes, estimates, and proposals to prospective customers, combine sales quotes with business development opportunities in the pipeline, create orders and service tickets within ConnectWise, and gain visibility into revenue streams from products, services, managed services, and other sources. We have been using QuoteWerks since 2004 and absolutely love it! The features that you talk about below have been a tremendous asset to us. 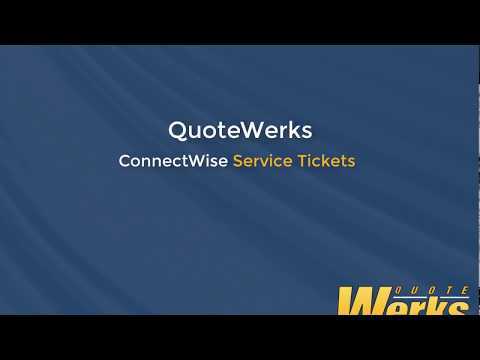 The integration between QuoteWerks and ConnectWise is flawless, I use the convert to order option on a daily basis as well as the service ticket creation option. These features have really allowed me to free-up some of my time to focus on more important tasks. Also, having everything flow automatically in to ConnectWise has greatly improved our time-to-invoice. The parts are already a part of the service ticket, there's no second guessing or manual adjusting that has to come later. I just wanted to share my experience with you, thank you for developing such an awesome product! Tom w/ MHK Consultants, Inc.
QuoteWerks is a Turn-key Solution - No waiting months for implementation. QuoteWerks is a One-time purchase - Paying forever is NOT an investment. At QuoteWerks, we believe in Phone Support. You can pick up the phone and reach someone. No need to create a ticket! We stand behind our product. QuoteWerks comes with a 100% Money Back Guarantee. No Strings Attached. With QuoteWerks concurrent licensing, you do not need licenses for occasional users - Saving you money! 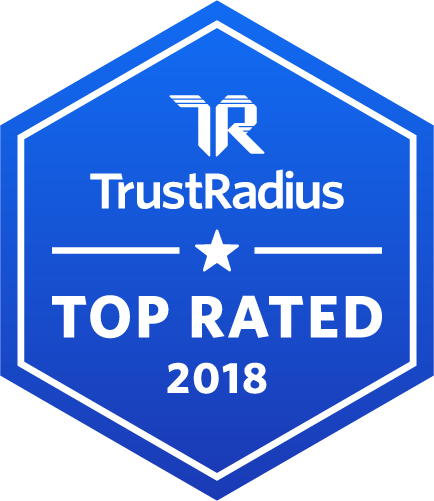 QuoteWerks® with the most 5 stars on the ConnectWise Marketplace. 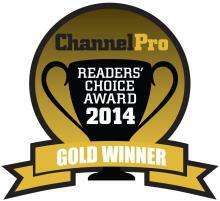 Are you an MSP, VAR, Integrator, or IT Service Provider? Check out our IT Community Page. 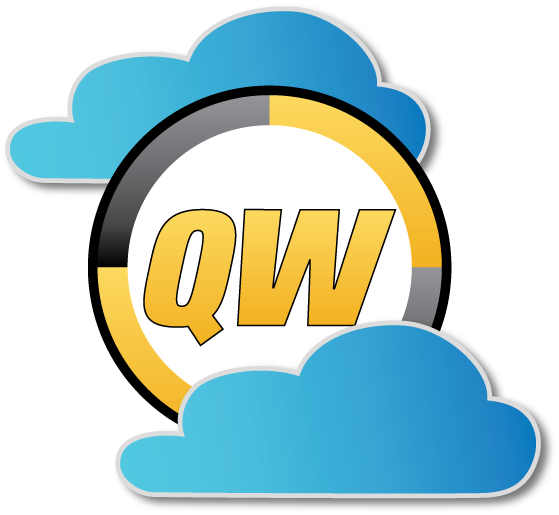 QuoteWerks integrates with ConnectWise 2017.x and higher (Cloud and On-Premise). There is limited support for ConnectWise 2016.x due to limitations in the ConnectWise REST API. Please contact QuoteWerks Technical Support if you are using ConnectWise 2016.x or previous versions of ConnectWise. The QuoteWerks ConnectWise integration is only available in the Corporate Edition of QuoteWerks. Still using the ConnectWise written QuoteWerks Add-on? See the differences between the integrations and find out how to switch to the QuoteWerks built-in integration - no extra modules, a more robust integration, and the legendary QuoteWerks support you've heard of. From our Sold To / Ship To tab of the QuoteWerks quote workbook, you can search the ConnectWise database for a contact by name, company name, or phone number. QuoteWerks will fill in the contact information in the quote by pulling the contact information from the contact that you searched for. You will never have to re-type your customer information. 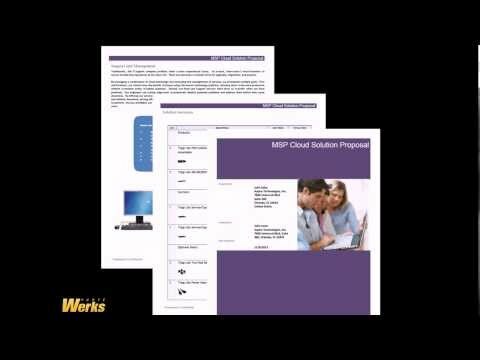 When emailing a quote or proposal to your customer, the PDF of the document is automatically attached to the opportunity so that other people in your organization that do not have QuoteWerks can open and view quotes. This is especially useful for your technicians and service reps. When saving a quote, QuoteWerks automatically creates a link to the quote under the Documents tab in the ConnectWise Opportunity. Additionally, when you are in ConnectWise working with a contact, you will see all the quotes that you have created for them. You can even click on the attachment and QuoteWerks will open and display the quote the attachment refers to. This feature is very useful for organizing and finding your quotes from within ConnectWise. If this is a remote install or satellite office, opening that document link will import that quote into that QuoteWerks installation. When saving a quote, QuoteWerks automatically creates an Opportunity in ConnectWise. When you are in ConnectWise, you will see the sales opportunities and their sale amounts for each quote you have created for this contact. The Opportunity feature is very useful in determining your projected cash flow. 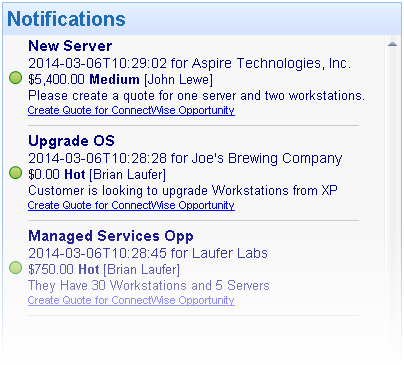 When creating/updating a ConnectWise Opportunity, QuoteWerks can automatically aggregate your forecast types on the quote, create the products, services, and more in the opportunity. The QuoteWerks mappings enable you to configure QuoteWerks for your specific ConnectWise environment. QuoteWerks supports the recurring revenue options in the ConnectWise opportunity. QuoteWerks line items configured as recurring flow seamlessly into the ConnectWise opportunity as recurring products and/or revenue forecast line(s). 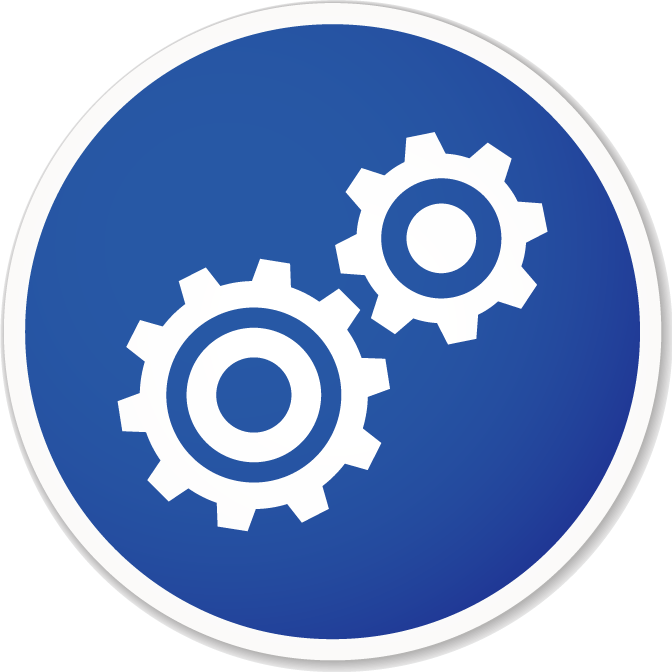 QuoteWerks Groups, Bundles, and Configurations are supported as ConnectWise Bundles on ConnectWise Opportunities. 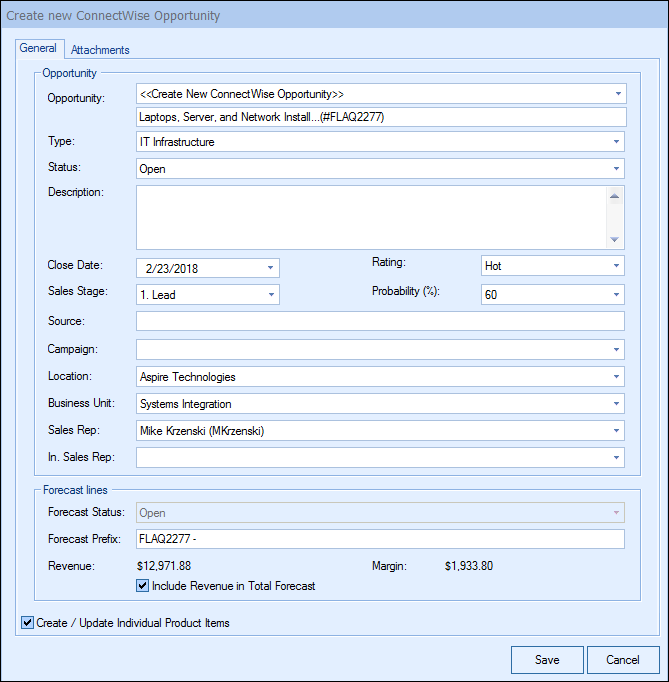 When creating/updating a ConnectWise Opportunity QuoteWerks "Grouped Bundles" can be created in the ConnectWise Opportunity as Bundles (under the Forecast and Product tabs). In the ConnectWise Opportunity, you will see the bundle header and the corresponding products that make up that bundle. When sending over groups to ConnectWise Opportunities as ConnectWise bundles you can control if the bundle product in the ConnectWise Opportunity should create a Project phase when the Opportunity is converted to a Project from within ConnectWise. We create quotes with the expectation that the quotes will become orders. When the customer accepts the quote, QuoteWerks will convert the quote to an order and also convert your existing ConnectWise Opportunity Forecasts to Won. If no Opportunity exists in ConnectWise! (This would be the case if a customer called to place an order without requesting a quote first), QuoteWerks will simply create a new completed Opportunity Forecast in ConnectWise. In ConnectWise, you can run reports that tell you how much income was generated from the orders you have received. QuoteWerks also has a built-in reporting module that can create similar reports. 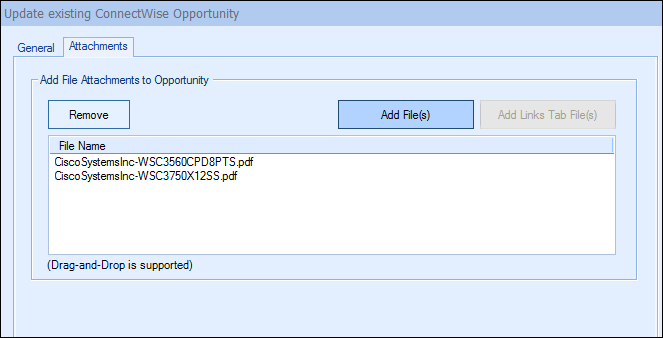 When creating or updating opportunities in ConnectWise, you can add file attachments to the opportunity. You can either select a file using a file selection dialog, or choose a file that is already linked to the quote under the Links tab on the Quote WorkBook. This is really useful for attaching a PDF version of the quote to the ConnectWise Opportunity. Having a PDF version of the quote is an advantage because anyone can then view the quote - they do not have to have QuoteWerks installed on their machine to view the quote. You can attach multiple PDF files to the opportunity, so you can easily attach the customer proposal, and a no frills plain vanilla version for the service technicians to follow, and basically anything else you could want. When creating opportunities in ConnectWise, if line item detail is selected to be included with the opportunity, those products and services will be created in the ConnectWise product and services databases for future use. In fact, you can even use this feature to completely populate your ConnectWise product database (effectively importing products into ConnectWise) with products from QuoteWerks product databases or your QuickBooks items list. For ConnectWise users with the ConnectWise Inventory Module, you can control if products sent to ConnectWise from QuoteWerks are flagged as "Serialized". 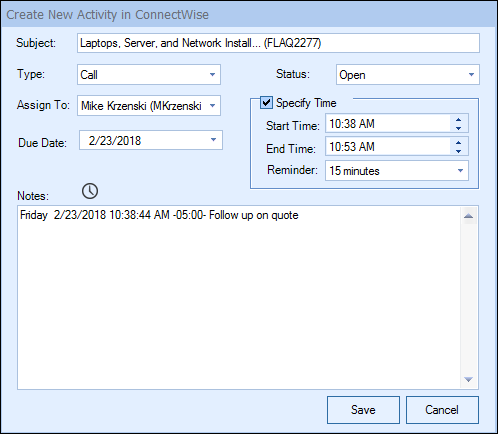 When saving a quote, QuoteWerks offers to schedule a call activity for you in ConnectWise. As you update your quote, you have the ability to update this same call activity in ConnectWise. By scheduling follow up calls, you increase your chances of closing the sale! The call activity will be listed under the Activities tab of the Opportunity and the Contact in ConnectWise. 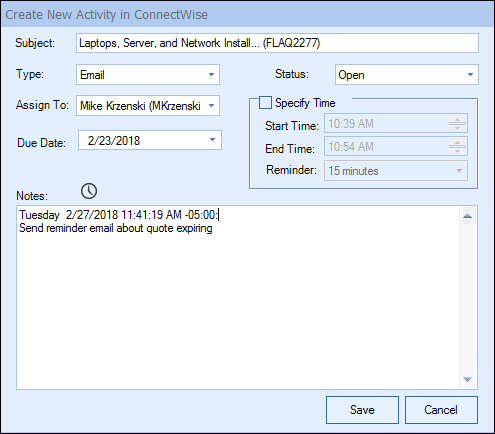 When saving a quote, QuoteWerks enables you to create additional activities in ConnectWise. These one-off activities can be one of the pre-defined activities in ConnectWise or one that you have customized for your own internal business process flow. The activity will be listed under the Activities tab of the Opportunity and the Contact in ConnectWise. QuoteWerks enables you to create Sales Orders in ConnectWise. When winning the ConnectWise Opportunity from QuoteWerks, you can choose to create a ConnectWise Sales Order! This will link all Products, Notes, and Documents from the ConnectWise Opportunity to the New Sales Order in ConnectWise. 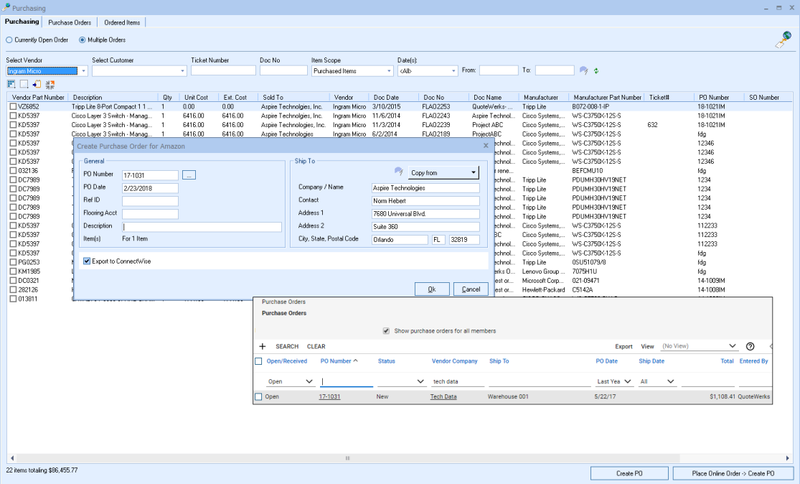 Sales Orders in ConnectWise enable you to process, receive, enter and track your client orders with visibility and control. From the My Summary Dashboard in QuoteWerks, you will see all Opportunities in ConnectWise that need a Quote created. This feature was designed so people on the road using ConnectWise Mobile can enter basic specifications for the ConnectWise opportunity. Then, in the office, the person assigned to create quotes will automatically be notified that s/he needs to create a quote for this opportunity. The same concept applies even if the opportunity is created using regular ConnectWise instead of Mobile. Products on the ConnectWise Opportunity will also be added to the new quote. This is helpful when using outside solutions like Labtech or JoomConnect that create Opportunities in ConnectWise. From the fully integrated Quote Button on ConnectWise Sales Opportunity, you can start a new quote or open an existing quote in QuoteWerks and populate it with the opportunity's details from within ConnectWise even if QuoteWerks is not already running. You can initiate this new or updated quote from the ConnectWise Opportunity. You can start a new quote in QuoteWerks and populate it with the contact's details from within ConnectWise even if QuoteWerks is not already running. You can initiate this new quote from the ConnectWise Contact or Opportunity. When you select the ConnectWise Manage contact to use in the quote, our innovative DataLink feature can automatically pull other information from ConnectWise into the quote such as sales tax, customer terms, customer profile, shipping method, etc. Customer profiles can be used by QuoteWerks to determine the appropriate pricing a particular customer should receive. The ConnectWise DataLink is bi-directional, so field information can be copied from QuoteWerks into the ConnectWise opportunity and then fields can also be copied from the ConnectWise Opportunity into QuoteWerks. Additionally, information from QuoteWerks line items can be copied into ConnectWise Opportunity Line Items. 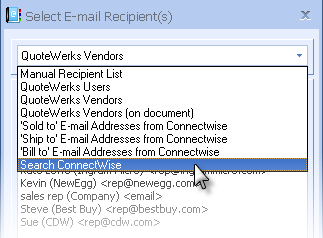 When emailing from QuoteWerks, you can select to send the email to ConnectWise Contacts that are not associated with the QuoteWerks document. Does your sales team utilize a CRM other than ConnectWise? QuoteWerks integrates with the leading CRM packages and provides the ability to use ConnectWise as a secondary CRM. 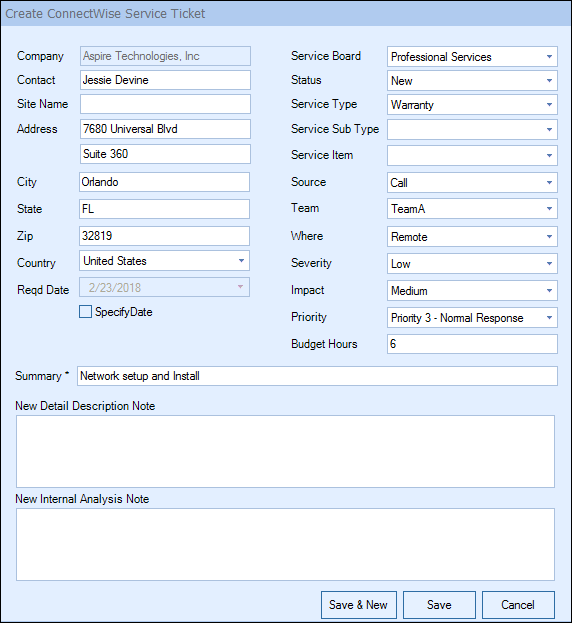 This lets ConnectWise users use QuoteWerks with a CRM like Microsoft Dynamics CRM, salesforce.com, or the other supported CRMs to do all their prospecting and quoting leveraging our dynamic CRM integrations. Then, when the quote becomes an order, QuoteWerks can create or link to the customer in ConnectWise and create the sales opportunity, products, and service tickets, and more in ConnectWise. From within QuoteWerks, you can enter a new lead in the quote and simply click on a button to create that company and contact in ConnectWise. QuoteWerks has a built-in print layout designer that allows you to customize the look of your quote. The print layout designer also allows you to easily insert data fields from ConnectWise into the QuoteWerks print layout. 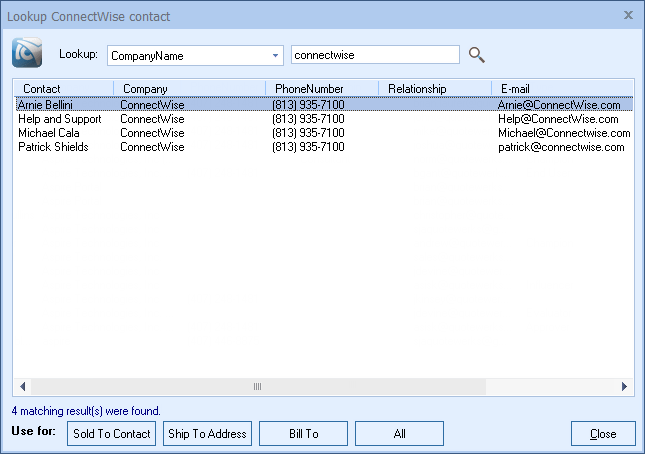 Then, when you print the quote, QuoteWerks will pull data from the ConnectWise contact fields that you inserted into the print layout resulting in a printed quote that includes information from your ConnectWise contact record. This feature is different from the DataLink feature (described above) in that this extra data is pulled from ConnectWise and printed, but not saved with the quote. When you need to save the information pulled from ConnectWise into the quote, you would use the DataLink feature. So, for example, if you are using a field in ConnectWise to store the contact's assistant's name, you can insert that ConnectWise field into the print layout so that when the quote is printed, the assistant's name will be printed on the quote, but not saved with the quote. Many of the fields in QuoteWerks have a lookup list option. When you press the F2 key while in one of these fields, QuoteWerks will display a list of values that you can choose for the field. You can create a macro value that pulls information from a field in ConnectWise. For example, if you press the F2 key while in the terms field in QuoteWerks, QuoteWerks will display a list of terms options that you have previously entered. You can create a new option that retrieves a value from a field in ConnectWise that you use to store your terms. The QuoteWerks built-in ConnectWise integration is designed so that the administrator can setup how they want the information to flow from QuoteWerks to ConnectWise. There is an emphasis on the automation aspect of the integration. QuoteWerks does not require the sales rep to manually specify that "these 3 line items need to go into the Product forecast line, these 2 items need to go into the Manages Service forecast line, etc"; doing so, would introduce a myriad of user errors. When user input is required, such as when saving the quote, QuoteWerks prompts the sales rep with a simple checkbox asking if they want to create a ConnectWise opportunity and if they choose to do so, they will be prompted with a window to supply the required information. QuoteWerks has integrations with other Leading PSA Solutions like Autotask, Kaseya BMS, CommitCRM, and others.